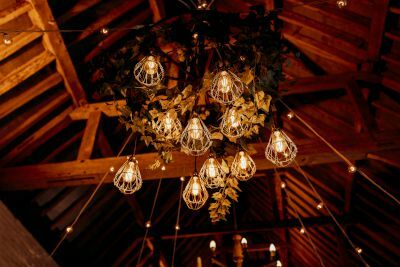 The design made a wonderful centrepiece to the barn during the wedding breakfast, really catching the eye as you enter through the large barn doors from the gardens. 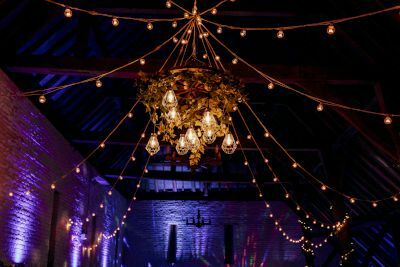 Then in the evening the lights gave a warm, cosy feel to the barn and complemented the band's disco lighting perfectly as a backdrop to some fantastic evening photos! 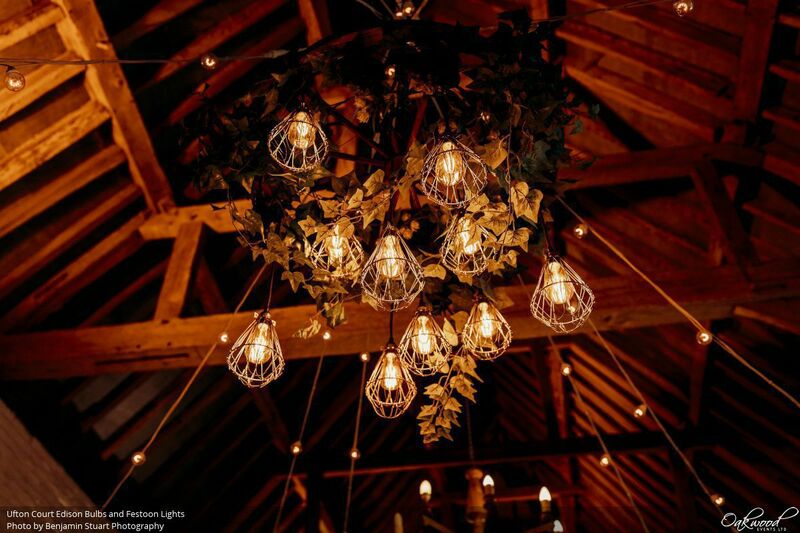 Just wanted to say a big thankyou for the amazing lantern canopy you provided for us at Ufton Court yesterday! 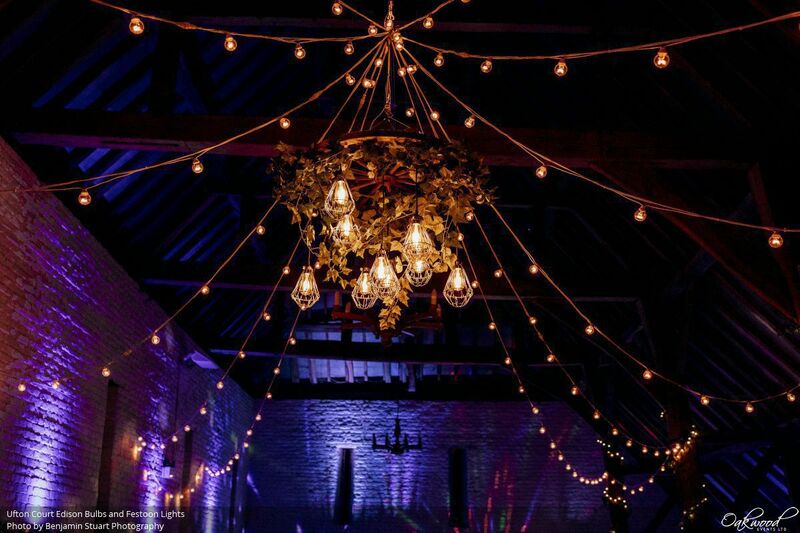 It looked so beautiful, the colours were fantastic and we had so many compliments about it from our guests! You guys did a brilliant job!